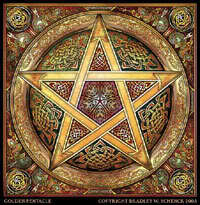 WiccanWay » Dreams » Same recurring dreams. I always have the same recurring dreams...but last night I had a really strange one. I was walking through my house..and there was a trail of blue butterflies leading to every room...except mine. i would walk along side them and they wouldn't even stir. Another one was, I walked into my backyard and saw two little kittens. One was orange and was hurt pretty badly so I took him inside and placed him by the sink. I went out to get the other one, which was covered so much in sticker burrs that I couldn't even tell what color it was...and when I came back..the orange one was gone. kittens signify lots of things but the main is evil deceit and trouble coming caring for neglect could mean you need to nurture something inside yourself. they can also symbolize innocence and purity the fact that they are wounded and neglected again means that a part of you needs attention. The lost independence part makes a lot of sense..I basically had to quit my job and quit school to take care of my mom who has been sick and is getting worse. I definitely understand that. 5 Re: Same recurring dreams.